Cape Town - As the inaugural champions of the MultiChoice Diski Challenge (PSL Reserve League), the University of Pretoria bagged themselves a seven-day trip to the Netherlands. This weekend, the team departs for the trip of a lifetime. “The Netherlands boasts a rich history of football development and through the Beloften Eredivisie (Dutch Eredivisie Reserve League) continues to churn out brilliant young footballers. This includes our own Kamohelo Mokotjo, who starred for Excelsior in the Beloften,” said MultiChoice’s Head of Corporate Responsibility and Affairs, Teressa Malevu, who will accompany the team. During their visit, the team will get to test their strengths against PEC Zwolle, SC Heerenveen and Vitesse Arnhem’s Beloften Eredivisie sides. The team will be based in Zwolle and will train at the IJsseldelta Stadium, PEC Zwolle’s first team stadium. They’ll also spend some time at the Royal Netherlands Football Association (KNVB) headquarters in Utrecht training under the eye of Holland’s U19 coach, former Ajax Amsterdam, Lazio and Inter Milan defensive midfielder Aron Winter. They will also get an opportunity to observe a training session of the Netherlands senior national team as they prepare for their Euro 2016 qualifier against Turkey. Former Bafana Bafana goalkeeper Hans Vonk, now director of football at Heerenveen, will visit the team for a motivational talk prior to the match against Heerenveen. And Foppe de Haan, a regular visitor to South Africa during the group stages of the Diski Challenge, will also visit the team. Rounding off their stay in the Netherlands, the team will attend the Netherland’s national team’s Euro qualifier match against Turkey in Amsterdam. To follow the team’s day-to-day journey in the Netherlands and for more information, please visit Facebook/asidlali or Twitter/@asidlali or #asidlali. 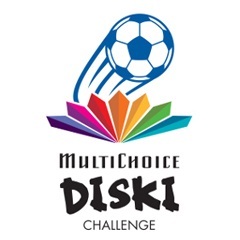 *Asidlali is the slogan for the MultiChoice Diski Challenge – we mean business.